Look stylish and sophisticated when you carry your lunch to work in these classic totes, they are ideal for business people who want to maintain a professional image in the office. The tote comes in a choice of green, red or black, finished with a contrasting piping trim. 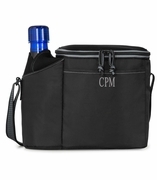 The main compartment opens on three sides with a zipper for easy access and an extra pocket on the front offers storage for smaller items. For that all important fresh water bottle, there is a mesh pocket on the side. 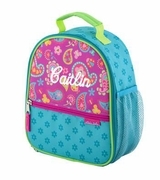 The lunch tote is easily carried using the wide, comfortable handle on the top. 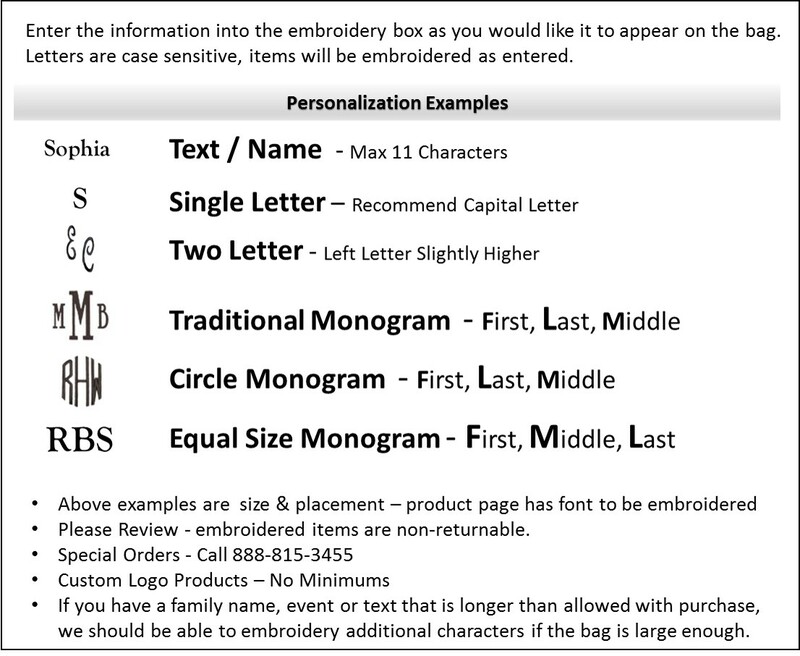 Embroider with monogram, name or initial. 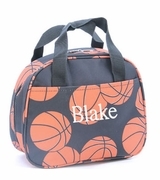 Monogrammed work lunch bag measures 8.5" x 11.5" x 5". Heat sealed lining. 600D polyester fabric.